I FINISHED it! Yay for me!! Yeah it looks a little wonky but hey, it’s done and wearable. 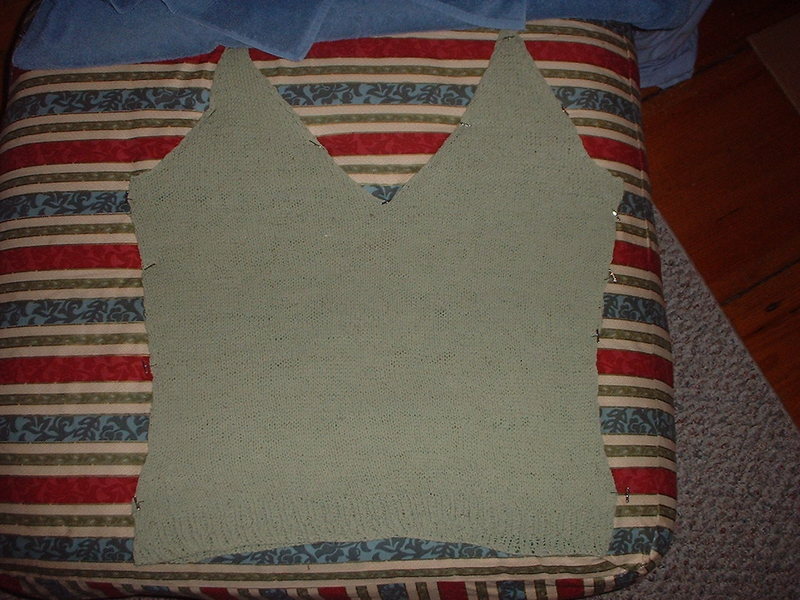 I immediately cast on the Dale Svale tank and am feverishly knitting along on that hoping to get past the lacy part before I get the teeth yanked tomorrow and am zonked out on pain pills the rest of the week. Yes I said ‘teeth yanked’. woo. I’ll be having three teeth pulled on the ‘morrow along with innumerable caps/crowns and a temporary bridge. All at once. yay. Why, you ask? Because I still have baby teeth. Yeah, 33 years old and I still have seven of ’em. Thankfully only three need to go buh-bye. I’m actually kind of happy to get this done as I have waited 20 years for this day. Okay well, I’ll let you all know if I lived – next time I write I’ll be a new(ish) woman!